This is that film here. We made an effort to capture the atmosphere of the event as a whole by including all of the friendly banter, speeches made by participants, and the intense rock-paper- scissors matches, which all can be seen in the video. 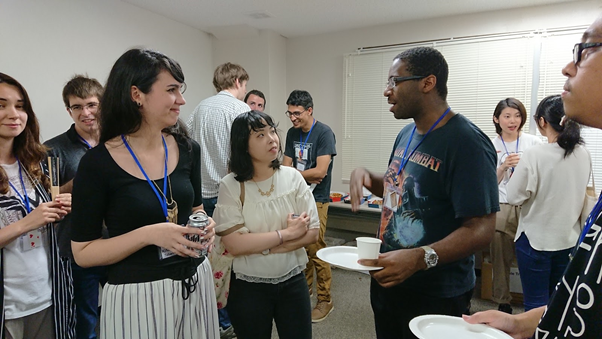 For the many non-Japanese participants wishing to work in Japan’s game industry, this is a great introductory event for them to experience the planning and distribution of games in Japan. While experiencing conversation in both Japanese and English, this is a great way for one to deepen their understanding of the game industry as a whole. The next event is currently planned to be held in December. Beat the cold by making your way out to this hot event!